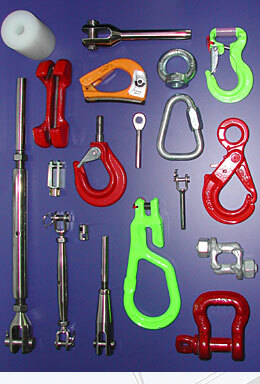 A well selected stock of wire rope accessories makes a quick production of complete assembled ropes possible. Support and recommendation in the choice of rope construction, application and determination of rope fittings is a matter of course. Besides this also special constructions and adapted fittings could be provided and rupture tested on own testing machines. For more technical details please see our actual catalogues and leaflets.